YENAGOA- EXPERTS, indigenous contractors and vendors in the nation’s oil industry converged on Yenagoa, capital of Bayelsa State, recently to deepen regulatory and procurement best practices in the sector, which over the years had been dominated by foreign firms. The programme organized by the Nigerian Agip Oil Company, NAOC, and its joint venture partners, sought to enlighten local contractors on the regulations, policies and laws applicable in the oil and gas industry and encourage compliance, not only help boost the local economy but help to avert capital flight as witnessed in the past. Speaking at the event, which drew participants across the Niger Delta and other parts of the country, Executive Secretary, Nigerian Content Development and Monitoring Board NCDMB, Engr. Simbi Wabote, represented by the Director, Planning, Research and Statistics, Mr. Patrick Obah, commended NAOC/ENI for hosting the workshop in the state annually. He observed that the workshop has contributed immensely in building the capacity of indigenous firms, provided entrepreneurial development and mentoring the companies to build capacities and grow. 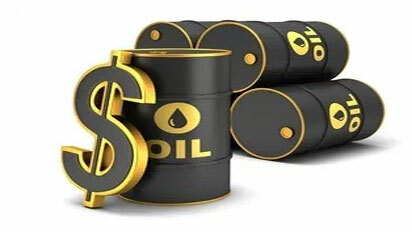 According to him, the Nigerian oil and gas industry lost $380 billion to capital flight due to lack of local capacity in the first 50 years of industry operations. Mr. Obah also stated that the Board had launched the US$200 million Nigerian Content Intervention Fund, NCI –Fund to assist local contractors. “For us to achieve our target of 70 percent in-country value retention, we need greater indigenous participation in the industry. You all should set a new strategic vision for your firms so we can have more Nigerian companies,” he asserted.